The Roll-Over Mezzanine gate allows pallets to be safely moved to and from mezzanine floors and loading docks. It is specifically designed to eliminate exposed edges at all times and ensure operators are safe against the risk of falling. It works on the simple principle of an evenly weighted pivoting frame so when one side is open the other is closed. It is available in two standard sizes but can be customised if necessary. Features include a slam-proof dampened operation to take out any sudden movement and safety latches to ensure the gate cannot lower unexpectedly. It’s easy to install, very sturdy and has a perfectly smooth action. The advantage of this roll-over gate compared to conventional sliding access gates is increased safety and ease of use. To operate, simply roll the gate back to expose the load area to the forklift operator. Place pallet on the load area and roll the gate into the closed position leaving the pallet accessible to be removed with a pallet jack or unstacked. Everybody’s kept safe with no exposed edges. 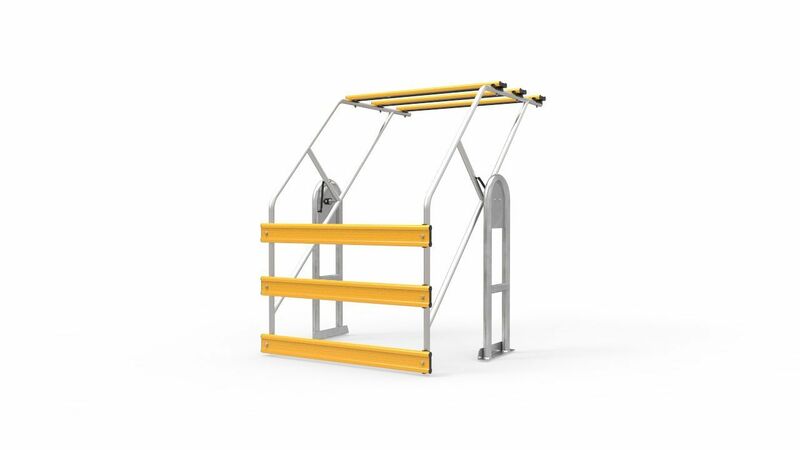 The Mezzanine Roll-Over Gate is safely balanced, rises and lowers smoothly and requires no exertion during operation. We supply two models, allowing for 1800mm high pallets and 2400mm high pallets and two widths 1500mm and 2600mm overall. Construction: Aluminium frame and rails. Gate Swing: 45 degrees vertical. Opening Width: 1500 or 2600mm. 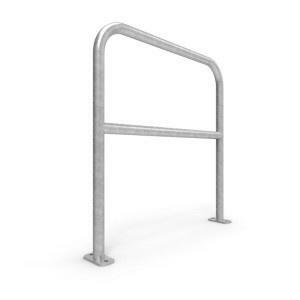 Rail Type: Powder coated aluminium 145 x 40mm. 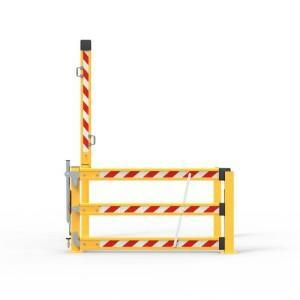 How do I know whether I need a roll over Mezzanine gate or a Boom type?